ImmPACT-Bio is pioneering a novel strategy to surmount a major challenge compromising current Chimeric Antigen Receptor T-cell (CAR-T) therapy. Our technology addresses the need to differentiate cancerous from non-cancerous tissues impacting the safety of the treatment which is to date a major limitation in reaching effectiveness. The company’s technology is based on the work of Prof. Gideon Gross (MIGAL – Galilee Research Institute), who is one of the pioneers of the world’s first CAR-T construct. 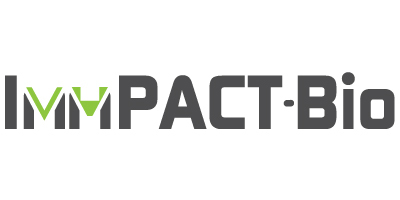 ImmPACT-Bio was established in the FutuRx incubator in April 2017. Over the last few years, CAR-T technology has gained widespread recognition and is projected to become a prominent tool in the treatment of malignancies. CAR-T cells are engineered to express recombinant antigen receptors that direct effector T cells to home to tumor cells for subsequent tumor elimination. Unlike the reported success of CAR-T in treating hematologic malignancies, the clinical data in treating solid cancers are less promising, partially due to safety issues. ImmPACT-Bio is developing a novel strategy for improving current CAR-T therapies and for addressing this unmet need for solid cancers. Our novel product is designed to assure tumor specificity by inducing cytotoxicity only upon engagement of the CAR-T cell with a tumor cell but not with any normal cell, thereby mitigating the safety risks associated with current CAR T technologies. Solid tumors are the immediate focus of the company’s development project given the unmet clinical need in treating these cancers. However, the company’s technology can also be applied to hematologic cancers in order to increase the safety of the current approach. Dr. Beiman, who holds a PhD in Biology and a postdoctoral training from the Weizmann Institute of Science (Rehovot, Israel), has 20 years of managerial experience in the biotech industry in various roles from early-stage drug discovery and development to phase 3 clinical trial stages. She is former Head of Molecular and Cell Biology at BTG (Ferring) and held various managerial positions at Compugen and QBI. Dr. Yahalom-Ronen holds a PhD in Biology from the Weizmann Institute of Science (Rehovot, Israel) and completed a postdoctoral training at the Weizmann Institute. She acquired a diverse multidisciplinary scientific background, while focusing on Molecular and Cell Biology, advanced microscopy and imaging techniques. Yfat holds a B.Sc. in Psychobiology from the Hebrew University. Dr. Sagi holds a PhD from the Weizmann Institute of Science (Rehovot, Israel) and completed a postdoctoral training at the Stanford University (USA) in the Levy lab, a leading group for cancer immunotherapy. She has 8 years of experience in immunological and cancer related projects. Dr. Livnat-Savitsky served as Chief Executive Officer of BioLineRX from 2010 till 2016. During that time, she was heavily involved in strategy planning, out licensing and fundraising. Prior to becoming BioLineRX CEO, she served as Vice President Drug Development and General Manager of Bioline Innovations Jerusalem (BIJ), and Vice President of Biology of Compugen Ltd. Dr. Livnat-Savitsky Holds a Ph.D. in Human Genetics from Tel Aviv University. Prof. Gross obtained his PhD from the Weizmann Institute of Science where, together with Prof. Zelig Eshhar in the late 1980’s, he developed the first CARs. He was a research fellow at the National Cancer Institute in Bethesda MD US and a postdoctoral fellow at the MRC Laboratory of Molecular Biology in Cambridge UK. Since 1995 he has headed the Immunology Laboratory in MIGAL, and is a senior staff member and former dean of the Faculty of Sciences and Technology at Tel-Hai College.